When you are trying to lose weight you may think at first that you need to cut down on the amount of food you eat but this isn’t always the case. Your first step on your weight loss journey may be to create an exercise regime to get you moving, but what about the food you eat? You need to create a weight loss meal plan just like you do for exercise and there is a lot to consider when you are doing this. To help you have a better idea of how to build a simple meal plan to lose weight we have laid out some of the things to consider when creating your meal plan for weight loss. What is the purpose of a meal plan? 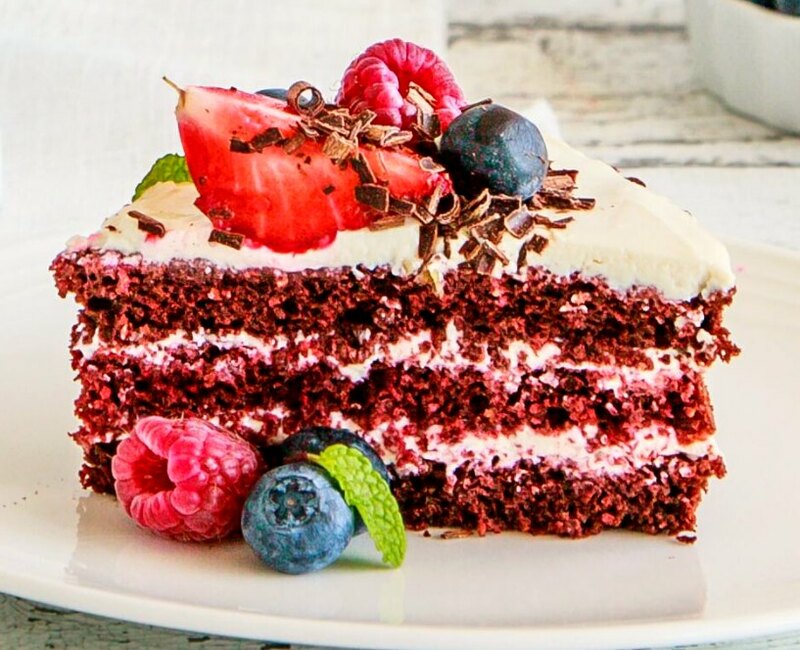 Food and your relationship with food can sometimes become unhealthy as it’s an easy and acceptable way to indulge or reward yourself but this relationship can derail any weight loss plan. If you are looking to lose weight you know that what you eat is a key ingredient to succeeding in your goals which is where a healthy weight loss meal plan can help guide you. Being smart about what you eat isn’t the only thing you should consider when laying out your meal plan for weight loss, thinking about how you eat can also help. If you are always in a rush and eating on the go without actually paying attention to what you are eating it can be easier to slip into unhealthy eating habits. Being more mindful and conscious of what you are eating means you are more likely to choose healthier options. Choosing fresh, clean and healthy foods over the high fat, often high sugar and high salt containing fast or pre-prepared foods is a first step to getting on track with losing weight. It’s easy to choose something fast and often unhealthy when your a busy mum trying to juggle multiple things and the wants and needs of multiple people. With so much going on the idea of sitting down and writing out a meal plan for weight loss just seems like too much effort which is why most people don’t do it. Creating a meal plan for weight loss doesn’t need to be a daunting or overwhelming task but if you don’t do it you are unlikely to hit any of your weight loss goals because without a plan it’s easier to fall off the weight loss wagon. There are so many options out there to help create a simple meal plan to lose weight or there are weight loss meal plan delivery services. 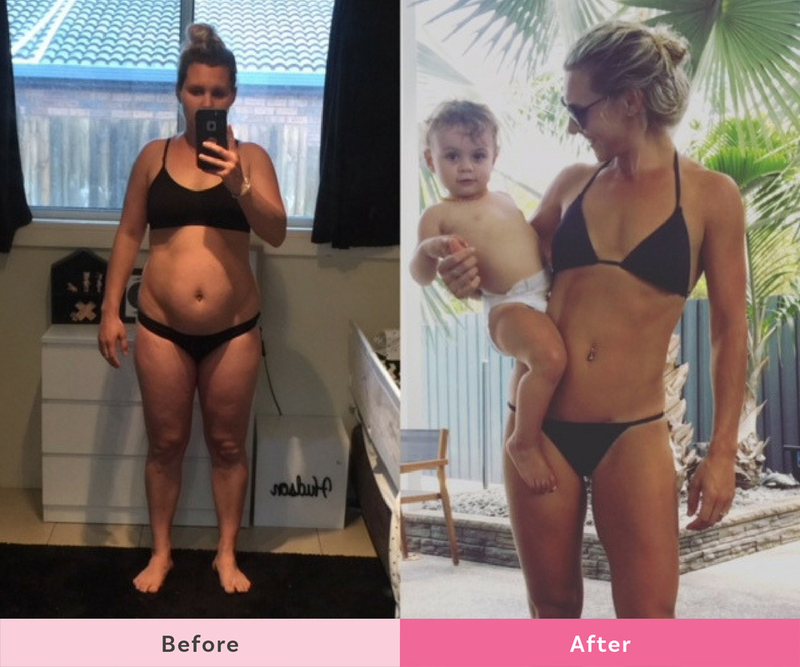 Another option is The Healthy Mummy 28 Day Weight Loss Challenge which includes a completely customisable weight loss meal with thousands of healthy, family-friendly, budget-friendly recipes to choose from. Plus with our app, you have your fully customisable meal plan, all recipes and a shopping list all in the palm of your hand. 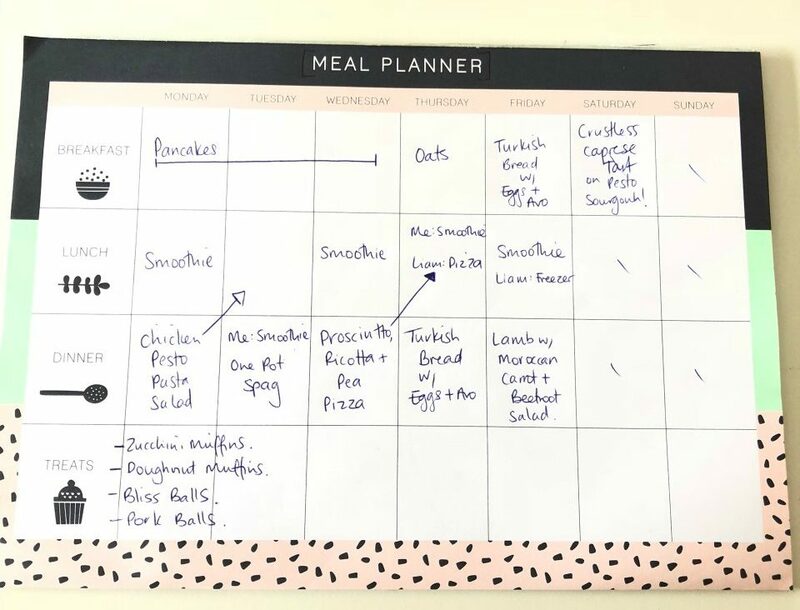 We at The Healthy Mummy are big fans of meal prep and planning ahead to help make mealtimes (and life) easier for busy mums. Mums are busy and don’t always have time every day to shop, plan and prepare a healthy nutritious meal for the family which is why planning ahead and even prepping ahead is important to help you get through the week. If you don’t prepare a weight loss meal plan things like stress, time limitations, cost and the general hustle and bustle of everyday family life can lead you to choose a meal that takes no time or thought to prepare which can often be an unhealthy option. Create a simple weight loss meal plan for yourself and your family, place it where you see it every day to keep you on track. Another benefit of planning ahead when it comes to meals is that when you plan out your meals you are unlikely to buy food you don’t need which means you save money as well as staying healthy. 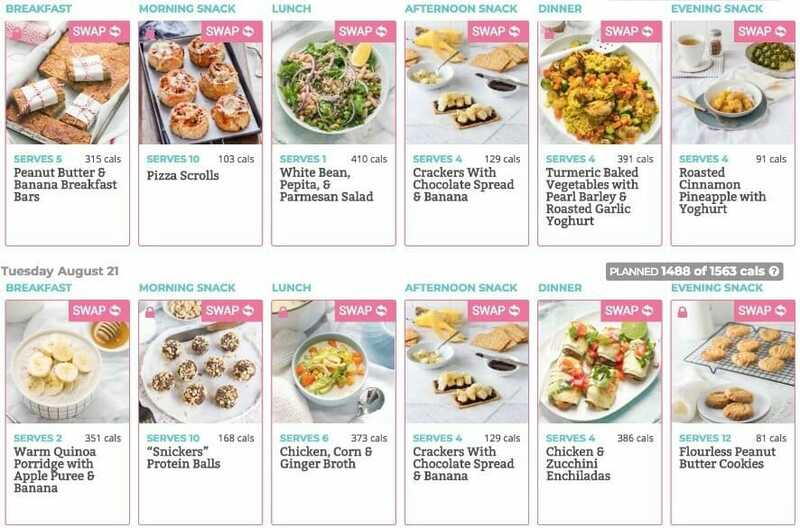 Creating a meal plan for weight loss you need to remember that your likes, needs and goals are unique to you which means just grabbing a 30-day meal plan for weight loss from a random website may not suit you. These types of plans are not personalised to your wants, needs and goals so are unlikely to help you meet your goals. The best way to use a weight loss meal plan to help you reach your weight loss goals is to make sure that is personalised and customised to your and your families personal needs. 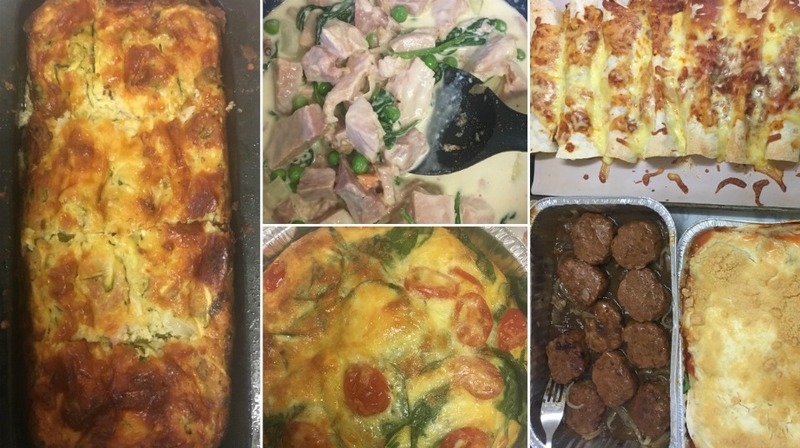 One of the benefits of The Healthy Mummy 28 Day Weight Loss Challenge is that all our meal plans are customisable for yours and your families needs, you can also build your own meal plan for weight loss from the thousands of recipes available in the Challenge app. Making sure you have a meal plan for weight loss that will work to help you achieve your weight loss goals is the key to your weight loss success. But how do you find a weight loss meal plan that will work for you? Like anything you need to first know your goals before you plan for your own success, once you have your goals you can then plan what will help you achieve them. There are a lot of other things to consider when creating your meal plan for weight loss including the nutritional needs, food preferences and allergies or sensitivities of you and your family. You also need to think about what you and your families life is like, if you are extremely active you will have different needs to a family that isn’t as active. The best way to make sure your weight loss meal plan will work for you is to customise it to you and your families needs. Having flexibility in your meal plan for weight loss will also contribute to its success or failure. For instance, someone gets the flu you may need to adjust your plan to increase vitamin c or immune boosting foods to not only speed up recovery but also protect the rest of the family. If your family is set for a really busy period you may consider adjusting your meal plan to increase foods that will help keep everyone’s energy up. The best weight loss meal plan is one that allows for some flexibility with the changing seasons and the ever-changing ebb and flow of family life. Your body type isn’t just about how your body looks it is genetic and therefore also influences how you respond to food intake, your hormonal and sympathetic nervous system (SNS) characteristics. It also impacts how your body’s metabolism which is why you should be aware of it if you are trying to lose weight and create a weight loss meal plan. There are three main body types, known as somatotypes: ectomorph, mesomorph and endomorph. Like all things everyone is unique and you are unlikely to fit perfectly into any single body type you may have characteristics of all of them. Ectomorphs are naturally thin people who have smaller bone structures and thinner limbs and often find it harder to build muscle mass, think an endurance athlete. Ectomorph diets are better suited to include higher carbohydrates with moderate levels of protein and lower fat intake. Mesomorphs have a medium sized bone structure and athletic body and can have a decent amount of lean mass if they are extremely active. You might find mesomorphs participating in sports like wrestling or gymnastics. When planning meals for a mesomorph they will benefit from a slightly higher amount of carbs but balance it with proteins and fat when mapping out a meal plan for weight loss. Endomorphs are the people with larger bone structures and have higher body mass and fat mass, think powerlifters or rugby players. People with this body type are more likely to be less active and therefore require fewer calories than their counterparts. When creating a meal plan for weight loss when you or a family member is an endomorph it is best to stick to low carb but high protein and fat recipes. Grab our low carb recipes ebook for a great range of healthy and delicious recipes. Your body changes throughout your life and this means the nutritional needs of your body change also. When you are younger with a higher metabolism you can get away with eating a lot more junk than when your older and your body needs more healthy nutrients to fuel itself. You may think it’s hard to cater for your whole family when creating your meal plan for weight loss because you are each in different life stages but really you just need to be aware of this when making the plan. If you have teenagers in the house you need to make sure there are some high energy meals in the mix, if your children are younger you will want to make sure they are eating nutrient-rich foods so they build up some store for that adolescent growth spurt. Despite your needs changing as you go through different life stages and therefore different family members having different needs, there are some solid foundations you need in all diets. Making sure you are all getting a wide range of nutrients from different sources, enough kilojoules for energy, essential fatty acids, adequate protein, essential minerals and plenty of water daily. All these can be gotten from a varied, healthy and nutritious meal plan for weight loss. When you are pregnant you don’t just have your own nutrition needs to think about when making a healthy meal plan. You have to make sure that you are getting not just the nutrients you need to maintain your own health but you also need to make sure you get the nutrients needed to grow a healthy baby. It’s natural to gain some extra kilos during pregnancy and you need to consider this in your overall meal plan. There are also some vitamins and minerals that you need more of during pregnancy including folate, iron, vitamin b12 and iodine. You may also need to increase the calories you eat in the day in the second and third trimester, not the old ‘eating for two’ adage but you do need a few extra calories. 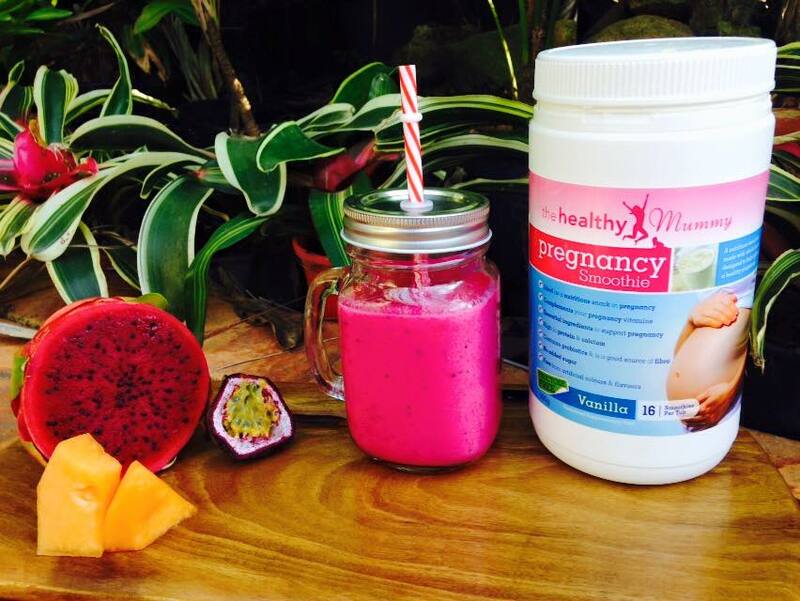 To help expectant mums get all the nutrients needed during pregnancy we included them in The Healthy Mummy Pregnancy Smoothie. Once the baby is born you may think you can jump straight back into your pre-pregnancy weight loss meal plan but if you are breastfeeding you need to consider this as well. If breastfeeding your new baby you need a significant amount of extra energy as you are supplying it not just for your body but a new baby as well. This doesn’t mean you should go out an eat all the high energy foods to make sure you are sustaining yourself and your bub. To get the extra energy without throwing your weight loss goals out the window make sure you’re eating nutrient-rich foods that are especially rich in folate, iodine, zinc and calcium to help maintain the health of you both. 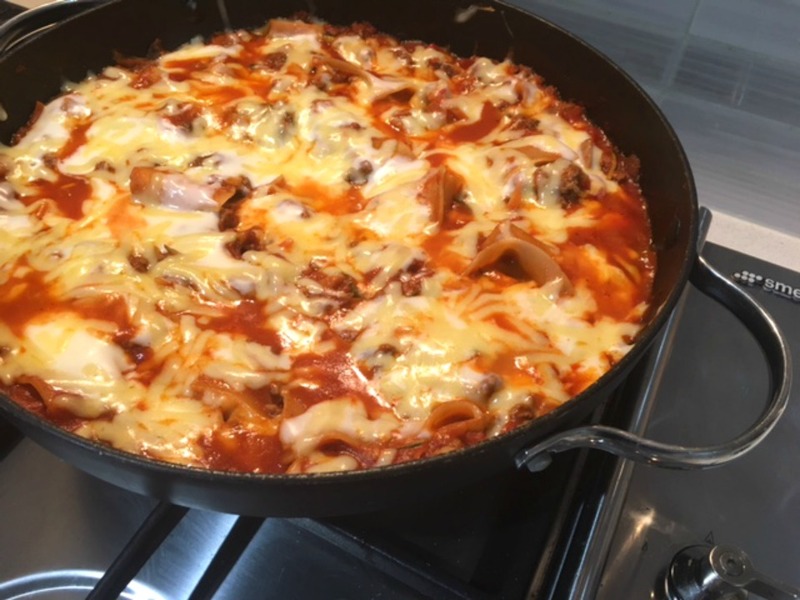 Trying to plan and cook meals when you have kids trying to pull your attention can mean that you end up opting for something simple and sometimes not so healthy when it comes to meals. But don’t despair you can still create your meal plan for weight loss with the kids in tow. Include the kids in the planning, if they are old enough, get them to help pick things out of a recipe book that they would like to eat. Creating a weight loss meal plan doesn’t need to be just another thing that adds stress to your life if you find fun ways to include your kids in the planning it can help you get it done and stick to it. If you have fussy eaters check out these healthy recipes. Being a working mum means that your time with the family is sparse and you may rather use it for quality time with the family rather than planning your meals. But with a little bit of prep work can mean that you are freed up later to spend time with the family. Without pushing yourself too far you could try doing some planning at work or recruiting some of your co-workers to help encourage you to get your planning done. There are so many delicious, healthy, family-friendly and budget-friendly recipes you can bulk cook and save on time for the future. All you need to do is block out some time on a weekend to plan, shop, prep and cook meals in bulk and have the freezer space to store them for the week or more. 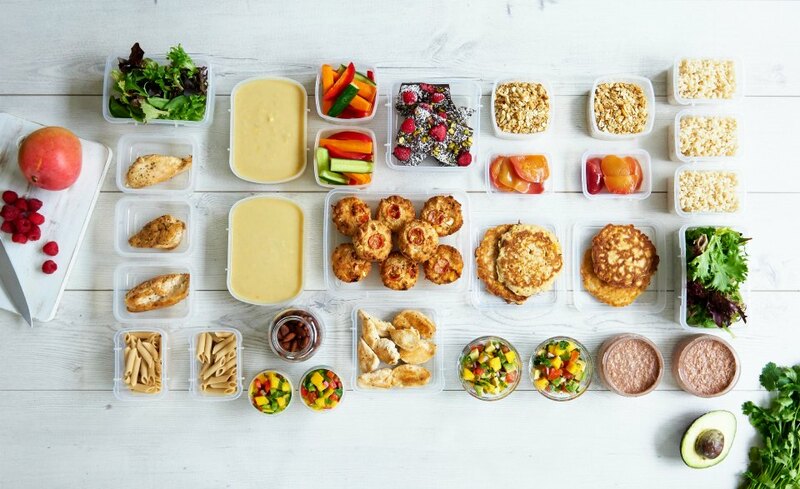 Check out our ultimate meal prep guide from our Meal Prep Queens. Whether you are a stay at home mum or you work a 9-5 all when you are a mum all your spare time gets occupied by the needs of your kids and family. Between sports, play-dates, extracurricular activities and family obligations your time tends to be lost before you have a chance to plan it. This can make the idea of creating a weight loss meal plan overwhelming, but it doesn’t have to be. 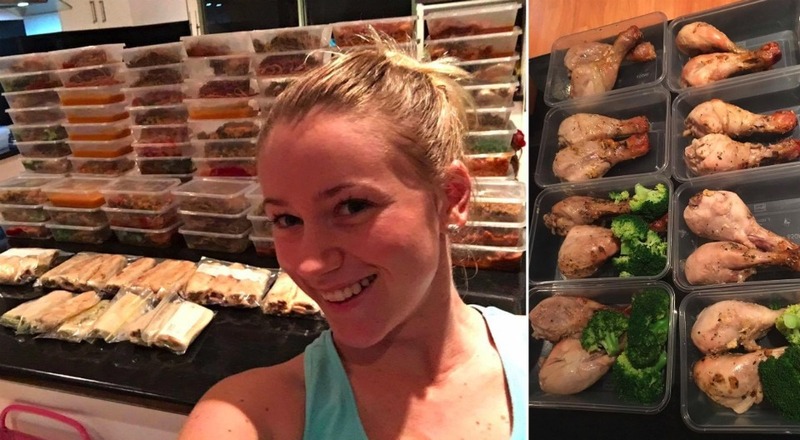 This is where planning and bulk cooking can help when you are time poor having pre-prepared meals available will mean you are less likely to lose motivation in your healthy eating meal plan. You can also use something like The Healthy Mummy app to help you build a meal plan that suits your needs. Along with any meal plan for weight loss, there needs to be some form of exercise regime if you plan to reach your weight loss goals. One needs the other to succeed and both are just as important as the other. If you aren’t someone who regularly exercises but want to start to incorporate it into your routine to help you reach your weight loss goals it’s best to start simple. If you haven’t exercised for a while your body won’t be used to it and therefore you will need to set up an exercise regime to suit this. If on the other hand, you are a big exercise fan and just want to up the ante you will need to opt for a different routine. Your exercise routine should complement your meal plan for weight loss, if you are moving more you will need more energy to compensate and this needs to be considered with your meals. And as you get more into your weight loss journey your fitness levels will change with you. 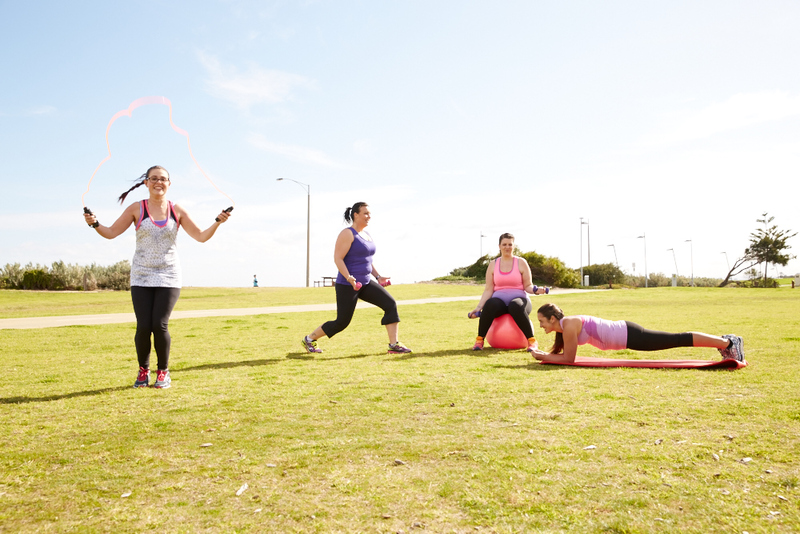 Read these tips for busy mums to make time for exercise. When your larger goal is to lose weight it can help to set smaller goals to help get you to the larger goal. For instance, you may want to give up sugary drinks, increase your water intake or making sure you are walking rather than driving to places you can. These smaller goals contribute to the success of the larger weight loss goal. Find out how to set SMART goals when trying to lose weight. Setting a weight loss goal means you need to know what is a healthy weight for you. Everyone’s ideal weight is different and so you need to make your weight loss goal specific to you. You have probably heard of BMI when people are talking about weight loss but you aren’t sure what BMI means or what your BMI is. A BMI (Body Mass Index) is a formula used to calculate your safest weight based on your height and weight combined. 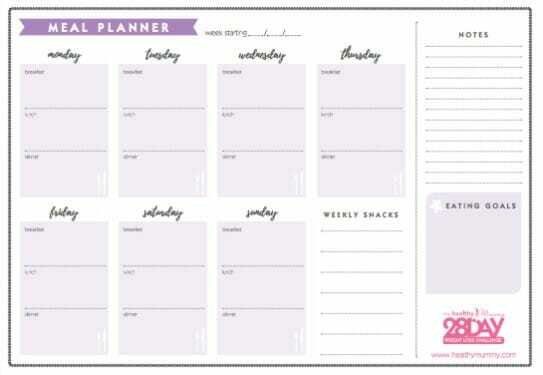 This is a great tool to help guide you when setting your own weight loss goal. The other reason you may want to create a healthy meal plan for weight loss is to increase your energy in order to be more active with your kids. When you eat more clean, healthy, nutrient-filled foods you will then see an increase in energy as long as there are no underlying health issues. As a part of the 28 Day Weight Loss Challenge, you can use your Basal Metabolic Rate (BMR) to help guide which calorie plan is best for you. Your BMR is a calculation that guides the number of calories you need to fuel your body which can help you create a meal plan for weight loss. 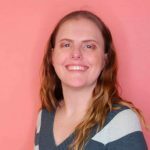 When building a meal plan for weight loss you need to think of the limitations you all have whether they be allergies, sensitivities or just the family budget. 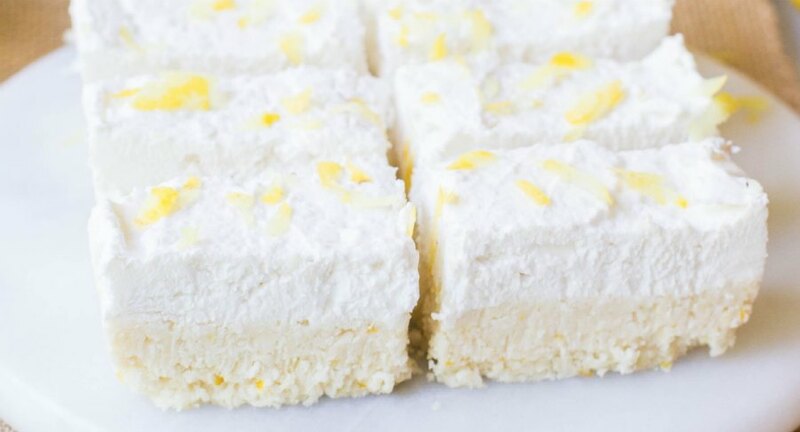 This can make the plan a bit more complicated but the best way to attack is to find healthy budget-friendly recipes that can be eaten by the whole family no matter their limitations. According to the Australasian Society of Clinical Immunology and Allergy (ASCIA), 90% of allergy reactions are from eggs, cow’s milk, peanut, tree nuts, seafood, sesame, soy, fish and wheat. Some children outgrow their allergies but not all do and even if they do you need to be conscious of the possibility of an allergy when creating a meal plan for your family. 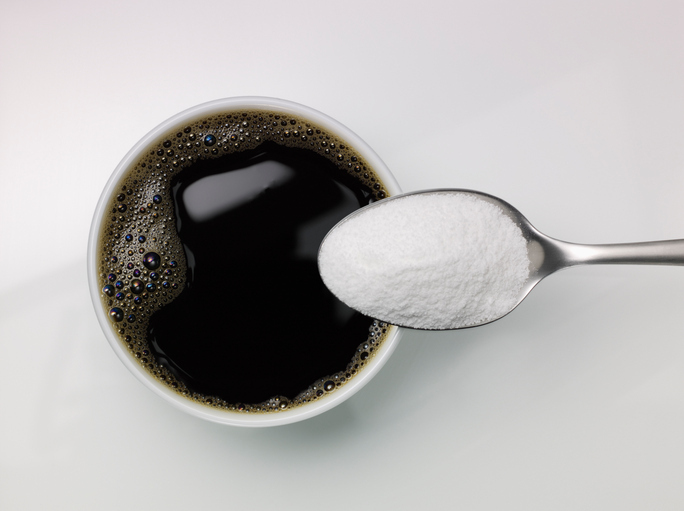 With the rise of allergies in recent years, there has also been a rise in recipes and ingredients created so you don’t have to worry about them. There is a lot of substitutes you can add into your kitchen to use in recipes that mean you will avoid any allergy issues. 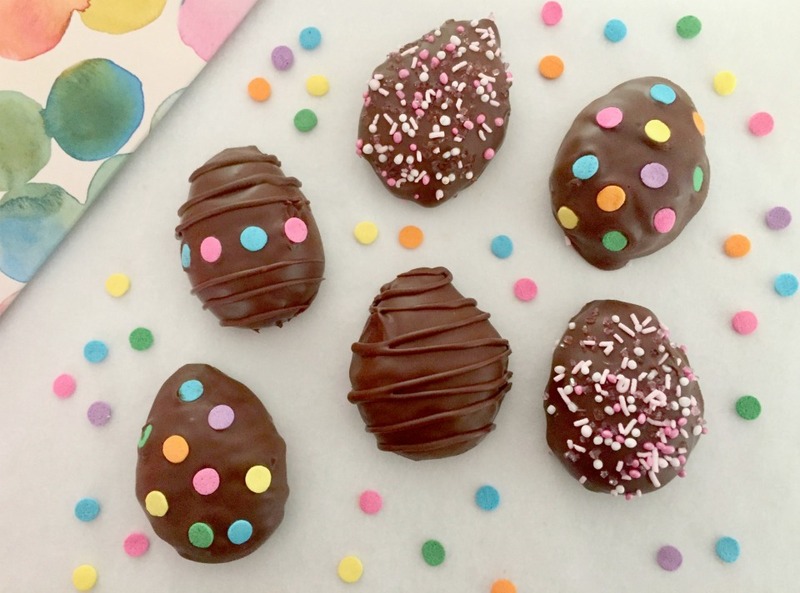 There are so many healthy, delicious and allergy friendly recipes you can add into your meal plan for weight loss and still enjoy a treat. You may not have any allergies to consider when creating your meal plan for weight loss but may have food sensitivities or intolerances that you need to be conscious of. The symptoms and reactions of a food sensitivity or intolerance may not be as adverse as an allergy but to ensure optimal health you still want to make sure they are taken into account when meal planning. 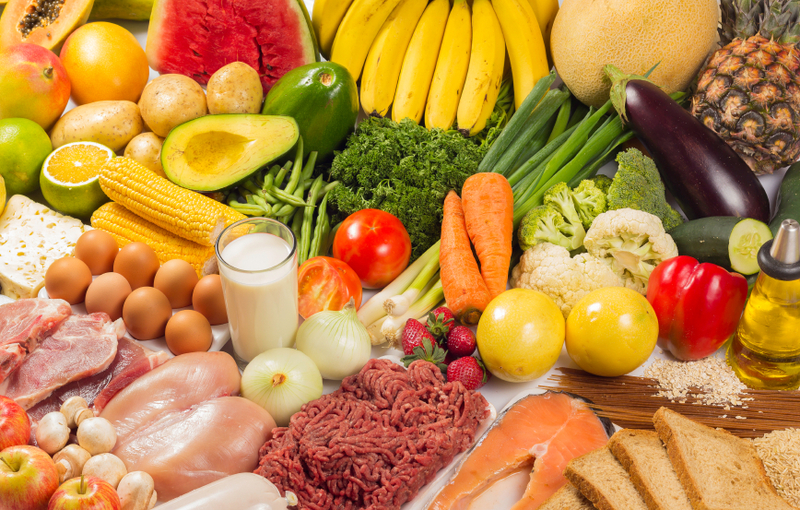 If you aren’t sure if you or a family member has a food sensitivity or intolerance ASCIA suggests you seek the advice of your GP and you may need to go on an elimination diet to find out what is causing your symptoms. Most food sensitivities or intolerances are reactions to natural substances in foods which makes them hard to remove from any meal plan but it can be done. When being diagnosed with a food sensitivity or intolerance you or your family member will be told what foods you need to avoid which you can then find alternatives when creating your weight loss meal plan. The key limitation that most mums are concerned about when they think about creating a weight loss meal plan is the family budget. Whether you have a single income or two incomes, have a mortgage or are renting you will have some form of a budget on what you want to spend on food. 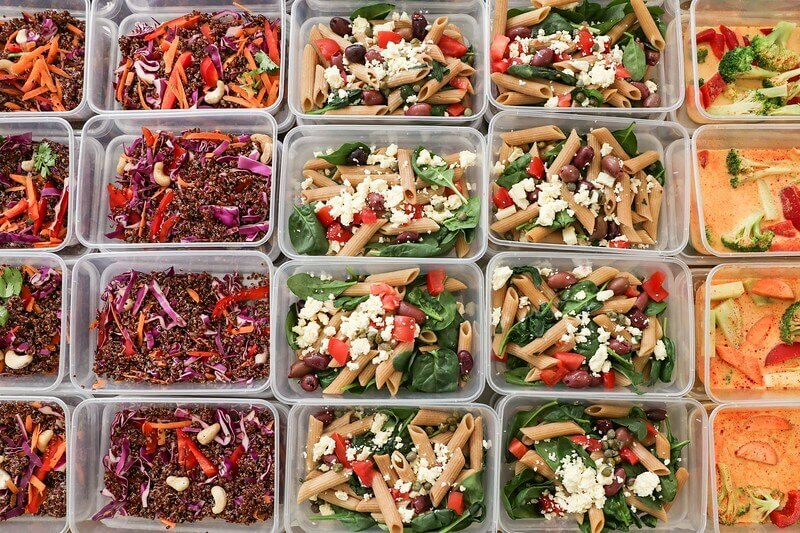 The thing is when you plan your meals ahead of time you are likely to end up saving money, especially if you also shop and prepare the meals in bulk. If you create a meal plan for weight loss and stick to it you are less likely to buy those one-off food purchases which will end up saving you money. With so many things to consider finding the right meal plan for weight loss that suits you and your family can be a struggle but it is achievable. The key is making healthy meal plans for weight loss that can change as your and your families needs do. You could also take advantage of the thousands of healthy, delicious, family-friendly, budget-friendly, allergy-friendly and customisable recipes on the 28 Day Weight Loss Challenge. You will get a fully customisable meal plan to suit your weight loss goal, a shopping list function to make meal prepping easier and a range of exercises to suit all needs and fitness levels. Find out more or sign up and create your own meal plan for weight loss in the app today.